Thousands of Hungarians demonstrated against alleged corruption at the country’s tax authority and for wider democratic freedoms in Budapest yesterday (9 November) in the latest protest to rock the country. 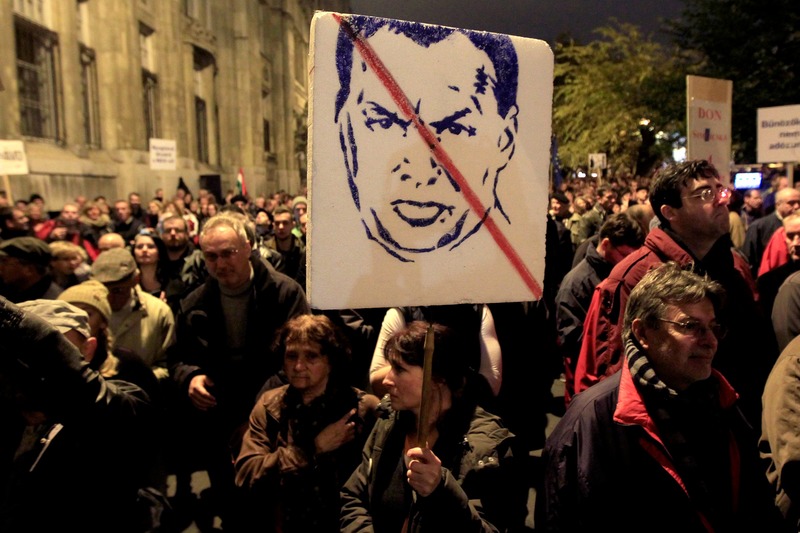 The protests against the centre-right government, notably against a planned tax on the Internet, show that, despite a big majority in parliament, Prime Minister Viktor Orbán faces increasingly vocal opposition. Orbán has raised eyebrows among hisWestern partners, including the United States and the European Union, for policies that have penalised big business, limited democratic freedoms and – his critics say – brought Hungary closer into the Kremlin’s orbit of influence. The rally demanded the dismissal of tax chief Ildikó Vida, who admitted earlier this week she was one of several people – including government officials – who was barred from entering the United States on charges of corruption. She denied any wrongdoing. About 100,000 Hungarians demonstrated on 28 October against a planned tax on Internet data traffic and the broader course of Orbán’s government, which they saw as undermining democracy and relations with European Union peers. The protesters said they were marching for more than the specific issues the organisers originally called them out to oppose. They opposed the entire government and want it gone, they said. “The corruption that works in this country is the worst because it all begins with the higher-ups, the government,” said 30-year-old Dia Szenasi, who arrived with a banner reading, “All corrupted here”. Hungarian Prime Minister Viktor Orbán, leader of the Fidesz party (EPP-affiliated), has clashed repeatedly with the European Union and foreign investors over his unorthodox policies. In the past four years, Orbán's policies have included a nationalisation of private pension funds, "crisis taxes" on big business, and a relief scheme for mortgage holders for which the banks, mostly foreign-owned, had to pay. His policies helped Hungary emerge from recession, but some economists say Orbán may have scared off the kind of investment Hungary needs for long-term growth. Ungarn citizens are beginning to understand that the freedom of living standard is already threaten by some kind of obligarch level like the Orban Tax forces or opinion shut-up forces.